Dear reader here we will learn about task to be performed for micropile installation; in the last post we have learnt about reinforcement required for micropile foundation; both reinforcing bar and pipe or tube. The task should consist of providing required engineering & design services, if applicable, including supervision, materials, labor, and equipment required to execute all tasks to install, testing micropiles as per specification provided by standard code and requirements of building officials. The contractor has to install a system of micropile that has capacity to meet the requirements of design as specified in the drawing. • Probable constraints encountered during installation process. c. Determine easements of tasks; here the conditions at site and local availability of required labor, equipments and materials are studied carefully. d. Definition and quantification-qualification of factors of safety and overall scope of tasks to be conducted in following steps and design of piled structure is studied here. e. Structural loads that have to be transferred thorough micropile systems are determined in this task; both horizontal and vertical loads are considered. 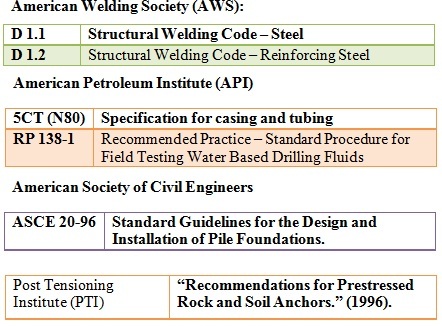 f. Calculation/determination of tolerance in total service structural movement, when micropiles suffer excessive deflection; in this case pipe or casing is introduced. g. Definition of the service life of structure or micropile (permanent/temporary) and corrosion protection based on ambient environment and life cycle. h. Number and type of tests (before construct and during production). i. Load on micropiles, their orientation, spacing and location. j. Depth of bearing stratum and minimum total length of pile. 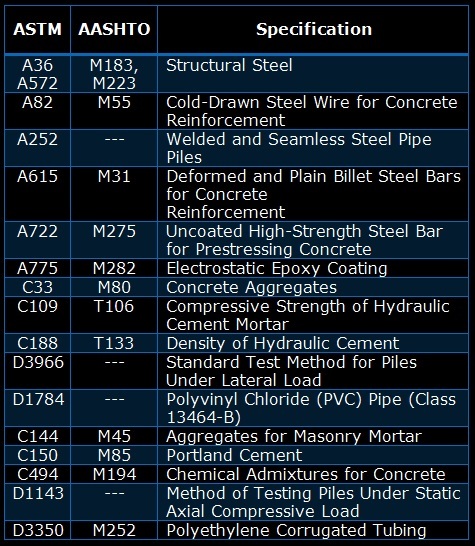 k. Details of component of micropile. l. Determination of length of load transfer or depth of the rock socket. n. Connection details of pile to structures under both static and earthquake loading. o. Drawing preparation and record keeping. p. Evaluation of different test results. q. Construction methods, sequencing and co-ordination of work. r. Requirements of QC/QA program. s. Supervision of construction work. t. Monitoring and maintenance .